0	Superfoods : Are they really « super » ? 0	Why and How to Recycle Organic Waste? 0	The Benefits of Nature on our Health ! 0	Bicarbonate of soda: The ecological powder that does it all ! 0	Planned obsolescence : What’s this ? 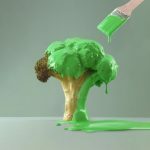 0	Greenwashing : What’s this ? Superfoods : Are they really « super » ? Why and How to Recycle Organic Waste? The Benefits of Nature on our Health ! Bicarbonate of soda: The ecological powder that does it all ! Planned obsolescence : What’s this ?